Yesterday I found myself eating lunch at Panera Bread, and was reminded why the place is so awesome. I love Panera because they have a menu full of delicious and different options–and they allow me to pick and choose 2 options for my meal! This is also how you can end your blog posts. Have you ever found yourself finishing up a blog post you’re quite happy with–but struggling to end it? There are a ton of different delicious ways you could end any post, and they all serve different purposes. 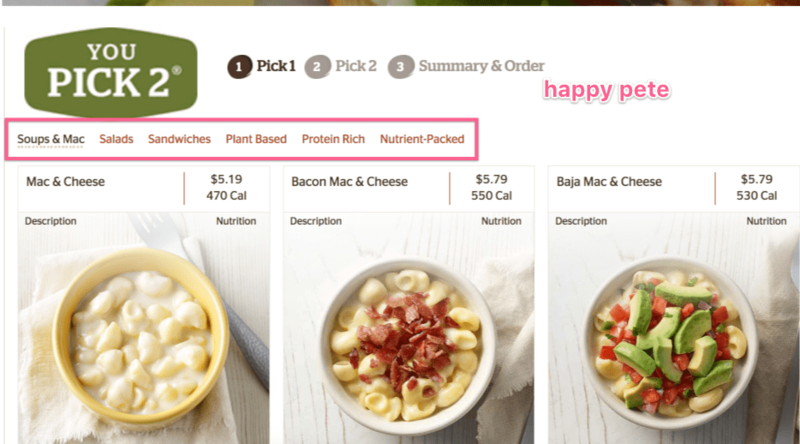 The Panera Formula = pick and choose any 2 blog post endings. First, let’s go over the full menu of blog post endings, and why you might use each one. Simple. Ask your readers to comment on your blog post. Here are a few different tips. Ask readers to opt-in to your email list. The END of your blog post is possibly the best place to put an opt-in, as theoretically they’ve just finished a great piece of content (if they didn’t get SOMETHING out of it, they would’ve left your site already). Tip 1 – Try to use a lead magnet or freebie that is related to the piece of content you just published–or broad enough you can attach it to several posts. I’m actually a fan of buttons or images that trigger opt-in forms–rather than simply putting a form there. Like this. Click to watch me whip. Tip 2 – If you’re not offering a freebie–PLEASE tell readers WHY they should bother giving you their email! 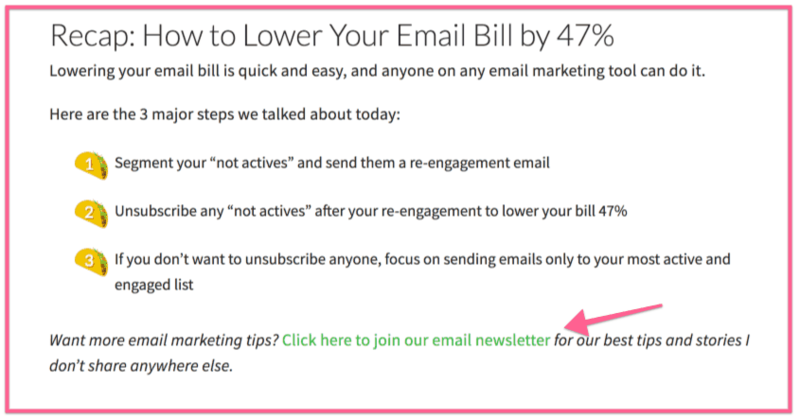 I can’t count how many opt-ins still have language like “Join our Newsletter,” and then a subscribe button. That opt-in is completely invisible. Tip 3 – If you need a bit more help with opt-in copywriting and creating delicious freebies, check out my beginner’s guide to email list building. Bloggers have mixed feeling over utilizing share buttons (Jason Zook said why bother), but this is MORE than just including share buttons. End your blog post with a specific call to share, then make it easy for them to share! If you enjoyed this article, it would help me out if you shared it! Please click this link to tweet it out! Use the Share Link Generator to build Facebook, Twitter, Pinterest, or LinkedIn share URLs! 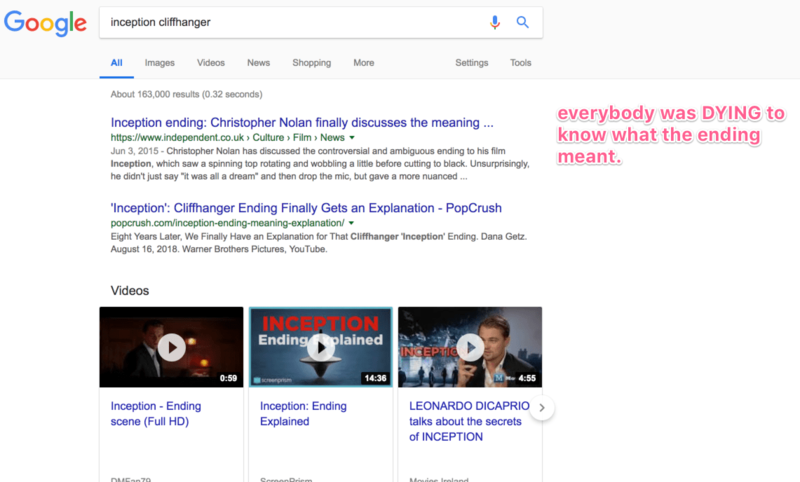 Let’s face it–the movie Inception had one of the best/worst cliffhanger endings. Like seriously Leo DiCaprio! Did the spinning thing topple over or not??? If you’re publishing a series of posts, or otherwise know ahead of time what you’ll be publishing next, tease it! Leave your audience interested or looking forward to your next installment or piece of content! If a reader manages to actually read through an entire blog post of yours–chances are they’ve gotten something out of the content. Why not keep helping them? Provide a link to a relevant piece of content on your own site–bonus points if the content is a logical “next step” in whatever your blogging about. You can either tie it in to the content, or just toss it out there. Sometimes you really just want to impact people. Go check out the way I ended my manifesto, I Believe in Blogging. this is not the ending btw. The purpose of that ending was to make people think. And audiences follow bloggers that make them think, question things, and improve their lives. If you’ve made people feel–if you’ve made people think. 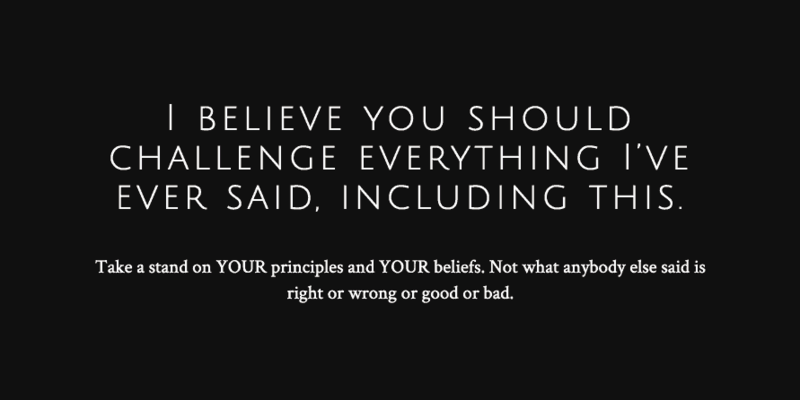 Present people with a short statement that makes internalize your points for their own life. Simply highlight & summarize the big points of the article in a high-digestible format. The purpose of this ending is similar to the “bold slap in the face” ending–you want to give people something they’ll remember an hour later. “Conclusion” might seem corny, but screw it. People like concise summaries. If you’re on the DYEB email list select country club–you’ve probably noticed I use these a TON in my emails. I can’t even explain why, but people pay attention to these, so it’s a great place to write a very important sentence. P.S. Like this. But better, obviously. 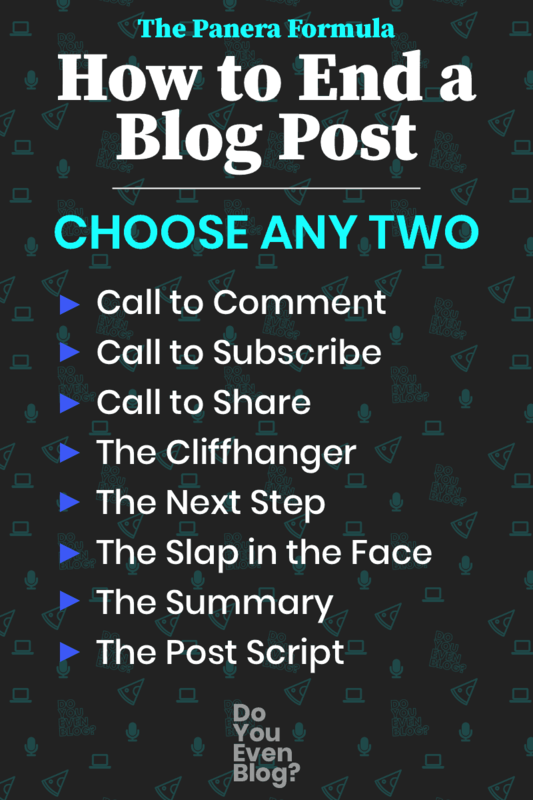 Now–Choose 2 of These to End Your Blog Post! Now that we’ve gone over the menu in detail, you can pick and choose which ending makes sense for you (and the specific blog post), and implement 2 of them! You can always do 3 or 4 of course–but that could get overwhelming quick. Furthermore, it might be wise to choose two different endings. I.e. you might not include 3 CTAs, asking people to comment, share, AND opt-in to your list. This one’s a classic! Sum up the key takeaways from the article, and ask your audience to weigh in! People like to share content that impacted or touched them, so if you can find a way to really “leave a mark” and make people think with the ending, they might be more likely to share anyways. This one is cheating. If you can present the CONTENT in your freebie as the next logical next step of learning AND tease out how awesome it is, you’ll see conversion rates skyrocket. P.S. This is an amazing place to get people to another piece of content. Even when you write a great blog post, trying to find the perfect way to end a post can be awkward–and worse, leave your audience hanging! Use this list of plug-n-play endings, and choose any 2 for your next blog post. Also, putting your endings in a CSS box like this is a GREAT way to make them stand out. Click here to learn how to build these on your blog. Next week on the blog–I’ll be sharing the detailed journey of how Robert from The College Investor built a SEVEN-figure blog. P.S. Which ending is your go-to? Comment below and let us know! I often have trouble ending my blog posts (conclusions have always been my week point when writing). I really like these! I’ve done the call to comment thing a few times, but I often wonder if it seems awkward to have an older post that has a call-to-comment but no comments. Well crap. Now I have more things to think about. 🙂 This post makes a lot of great points. I’ve tried the question tactic, but it seems the people who comment never answer the question. I’ll have to try some of these. Thanks for sharing! Ha! I’d argue that’s very true actually.